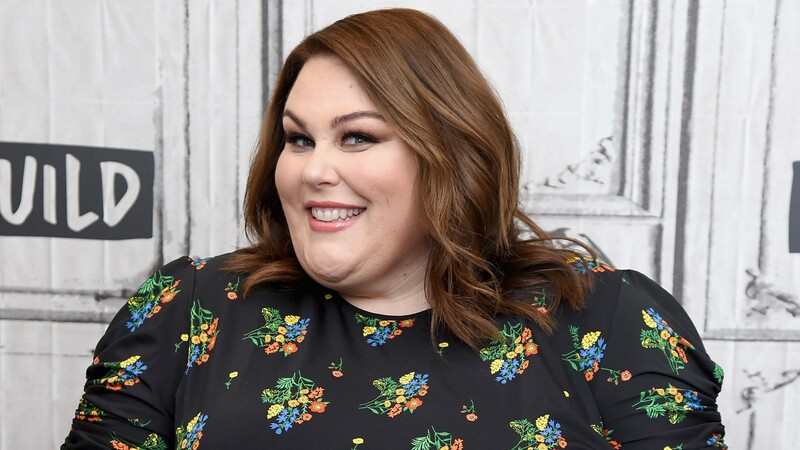 Is love in the air for Chrissy Metz? Apparently, Metz has a hot new love interest in her life, and we’re not talking about her This Is Us husband (sorry, Toby!). Per Us Weekly, Metz may be dating composer Hal Rosenfeld, and from the sound of it, things could be heating up between the pair. If true, it would be the first relationship for Metz since she and cameraman Josh Stancil split in March. Neither Metz nor Rosenfeld have publicly confirmed their relationship, but even so, our curiosity about who Rosenfeld is piqued. What’s he into? What’s he like? We did a bit of digging, and here’s what we found out about Metz’s alleged new beau. Rosenfeld isn’t just a composer — he’s also a drummer and percussionist, and his résumé is pretty stacked considering he’s only 25. Per his IMDb profile, his credits as a composer and musician include Legends of Tomorrow, Quantico, The Mayor, A Series of Unfortunate Events and The Greatest Showman. On June 13, Rosenfeld tweeted his excitement about being involved with KCRW’s “The Future Is Female” concert of female composers. Rosenfeld’s role was presumably in a supportive or secondary capacity, as he was clearly excited to shine a light on women in his field. One of Rosenfeld’s friends apparently decided to play a prank on the composer earlier this year, and Rosenfeld took to Facebook to share the shenanigans. Metz may have been clueing fans into her romantic status as early as Oct. 7, when she posted a photo at the La Quinta Resort & Club with a group of friends. Right next to her? Rosenfeld, and the two looked pretty cozy. “Reminiscing about one special birthday weekend with a few special people at such a special place,” Metz wrote. Speaking with Huffington Post in November 2016, Rosenfeld described how his mother had signed him up for a summer music course at a local college when he was still in high school. Despite having zero interest in attending it, it ultimately led to a musical connection that launched his career. “So, yeah, I guess you could say that if I hadn’t listened to my mom, I wouldn’t be where I am today,” he told HuffPost, laughing.